Are you searching for cheap discounts for each Samsung ML-4050N toner? Bargain deals can be guaranteed with us, night and day. You don't have to spend time to get Samsung ML-4050N cartridges down the high street and wind up forking out a lot more. Get total satisfaction when you place an order for replacement Samsung ML4050N toner from us because of our company's cast-iron money back scheme, which comes as standard on everything. Don't forget everything you buy comes with totally free delivery, almost always arriving the following business day! Get a better price, buy now! Designed for fast-paced working environments with limited space, the Samsung ML-4050N laser printer is a compact and robust monochrome laser printer. It delivers output with a maximum resolution of 1200 x 1200 dpi and it has built-in Ethernet. This unit has a monthly duty cycle of 200,000 pages yet is compact. The Samsung ML 4050N mono laser printer is installed with 64 MB memory but it can be expanded up to 512 MB. A duplexer is only optional and this unit has limited paper handling capacity. 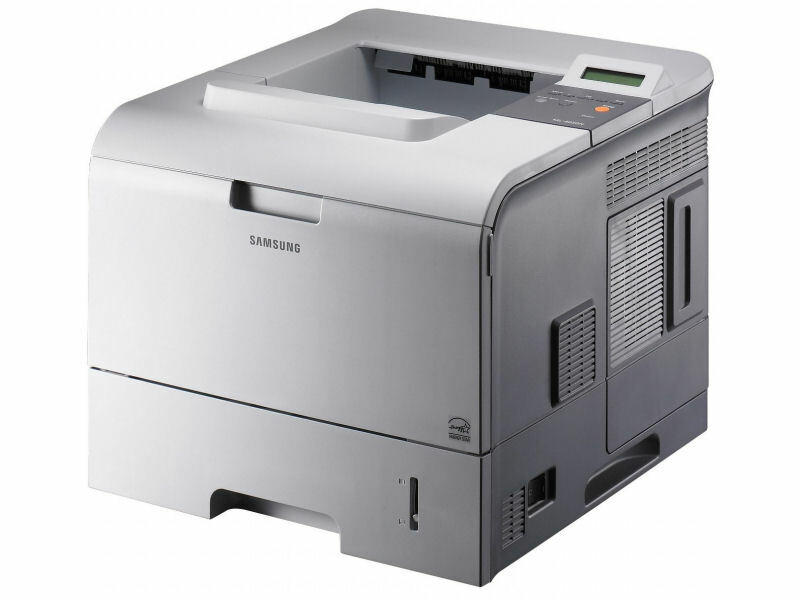 The Samsung ML-4050N workgroup laser printer only measures 15.6 x 17.8 x 13.9 inches and weighs 38.14 lbs. The paper tray can handle 600 sheets. For connectivity, users may choose from USB, parallel, and Ethernet ports. The Samsung ML-4050N monochrome laser printer has a quick print speed of 38 ppm in black and white. This efficient printer delivers good quality texts and images at quick speeds and is very reliable and has a high monthly duty cycle. The Samsung ML4050N can be easily shared with workgroups, thanks to its standard networking connectivity and its compatibility with most operating systems. Setup is easy, as well as operation. For better cost-efficiency, this device can print with a high capacity black Samsung ML-4050N toner that lasts for as long as 20,000 pages. The Samsung ML-4050N printer is quite pricey and the duplexer add-on is also expensive. The unit could be more efficient if it had higher paper handling capacity or the ability to use optional trays.